Obtaining citizenship is a legal process, and having the assistance of an experienced immigration lawyer can be extremely helpful in ensuring the process goes smoothly. 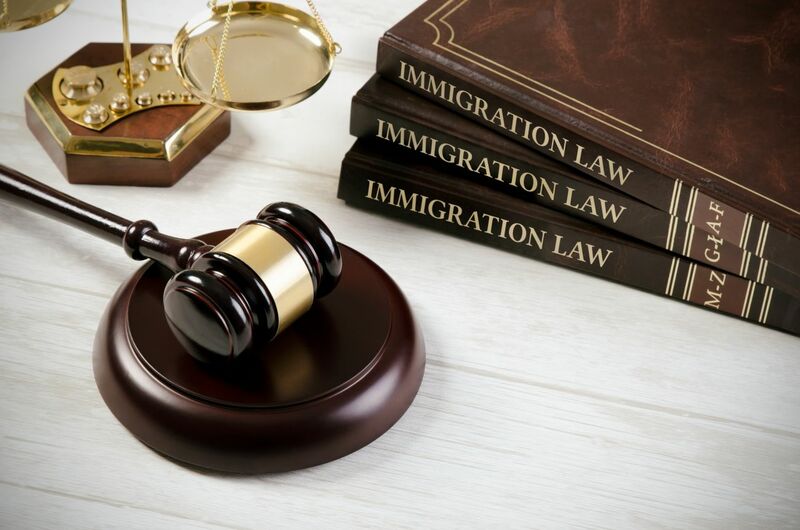 In addition to answering questions and assisting you with paperwork and other legal aspects of the immigration process, your attorney can also represent your interests in court if necessary to prevent deportation. If you are living and working in a country different from your birth, you may wish to contact an immigration lawyer to ensure you file for the correct type of visa. You can also gain assistance with the process of naturalization and becoming a citizen. The primary role of an attorney is to act as an advocate in legal proceedings. Your attorney will work with you to provide you with the information and resources you need, offering advice and guidance on the often-complicated steps of the legal process. For immigration lawyers, this is no different. Immigration attorneys work to ensure that your paperwork is filed correctly and represent your interests in court if necessary. They can also guide you through the steps of the long and often arduous naturalization process. One step to naturalization is a character reference letter. This is a formal letter, usually written by a person with a respected position within the community, detailing the immigrant’s strength of character, and nature of their relationship. Your attorney can help you choose someone to write this letter for you and offer guidance as to how it should be formatted and what information to include. In some situations, the attorney himself may be able to write this letter on your behalf. Obtaining a work visa or becoming a naturalized citizen can be a complex, multi-step legal process. Failure to fill out the proper forms or filing paperwork incorrectly can lead to delays or, in some cases, denials. Your attorney will work to ensure that you understand the steps of the process and that all steps are followed appropriately to reduce delays and difficulties. Analyzing the specific facts of your case and providing legal advice based on your available options. Preparing and filing paperwork, and applications or petitions on your behalf. Representing you in court or with the United States Citizenship and Immigration Services (USCIS). Acting as a go-between or advocate to communicate with government officials on your behalf. Although it is not strictly necessary to work with an attorney for all immigration processes, having a lawyer on your side will usually make things go more smoothly and reduce your stress during this process. If you have previously committed or been convicted of a crime. If your previous applications have been denied. If you have been deported or are facing deportation. If your marriage to a U.S. citizen failed or you have divorced prior to receiving permanent residency. If you have a communicable disease that could pose complications to immigration. If you are struggling to understand any aspect of the immigration process or what steps you should take. Any of the above might pose additional complications to the standard immigration process, necessitating the help of an experienced attorney. Although having an attorney on your side is usually beneficial, it’s important to take the time to research your options and choose the best possible match for your needs. There are unscrupulous services out there that offer more than they can provide or will give inaccurate information. To protect yourself and your citizenship, be sure to research the law firm thoroughly before signing on. Avoid lawyers who approach you at the immigration office. Some attorneys will try to solicit business at USCIS, which is a behavior frowned upon by the legal bar and a sign that the attorney is more interested in signing on clients than helping them. Research the firm. You want to choose a lawyer with experience in cases similar to yours. You’ll also want to choose someone in good standing with the American Immigration Lawyers’ Association and who has good client testimonials. Be skeptical. If something sounds too good to be true, it likely is. Be wary of any attorney who guarantees results or claims to have a 100 percent success rate. It might help to shop around. By scheduling consultations with a number of attorneys, you can get a better idea of what to expect and find the perfect fit for your needs. Once you choose a lawyer, you may have a long-term relationship with them throughout the duration of your immigration proceedings, so spending some time getting to know the person will help to ensure you feel comfortable. When hiring an attorney, it’s a good idea to independently research your legal situation on your own as well. The more you know about the immigration process, the easier it will be to determine if a lawyer is offering realistic advice or false promises. It will also help you to understand what questions you should ask to get the best results. Your attorney should be willing to answer your questions and guide you through the process. If he or she is not able or willing to explain things, it’s time to seek a new lawyer. The more you know about the immigration process, the easier it will be to identify potential problems and concerns before they become disasters. However, if you have any doubts about your immigration status or are uncertain about how to proceed with something like filing a visa, a legal consultation is always a good first step. Based on the counsel you receive, you can decide on your next move. There are a number of resources available for education and immigrant advocacy. A list of useful resources is available from the Advocates for Human Rights website. You can also obtain information and resources from your attorney’s office to help with self-education and understanding the process ahead of you.